An exceptional location for your wedding or for a sensitive as well as confidential meeting: “Relais degli Angeli” can offer you the ideal setting for an intimate reception, an exclusive event or a meeting for a limited number of individuals. For the event, our entire Period Residence can be booked exclusively for you and for your dear ones or for your colleagues. 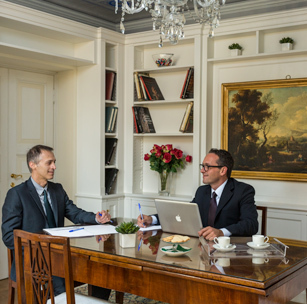 A business meeting or a conference for a select few: at the “Relais degli Angeli” you will find the privacy of a reserved space as well as the technological and organisational support of qualified professionals. A staff of professionals will assist you in the organisation of all phases of the event: nothing will be left to chance. Your wedding in Siena will not only be special: it will be simply perfect. 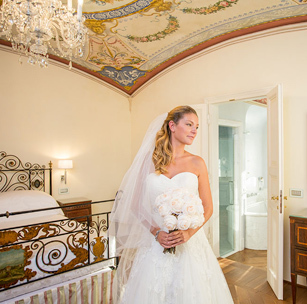 The staff of “Relais degli Angeli” will be able to assist you in planning your wedding, symbolic blessing or renewal of marriage vows, providing you with a team of certified professionals. From the wedding planner to the hair stylist, from the personal shopper for the bride’s girlfriends to the flower arrangement, our Period Residence is the ideal location for one-of-a-kind ceremonies.